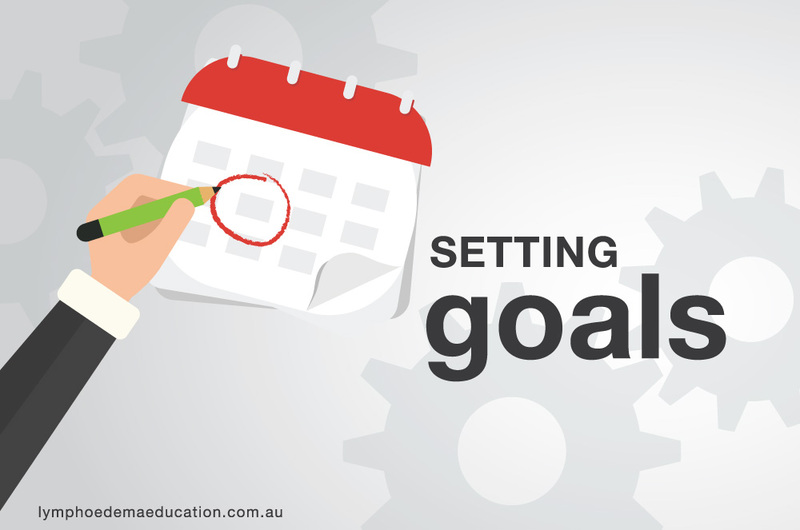 Each year I allocate time in January to make the goals I want to achieve in the area of lymphoedema. So I don’t forget them I type them directly into my Todist app on my mobile. 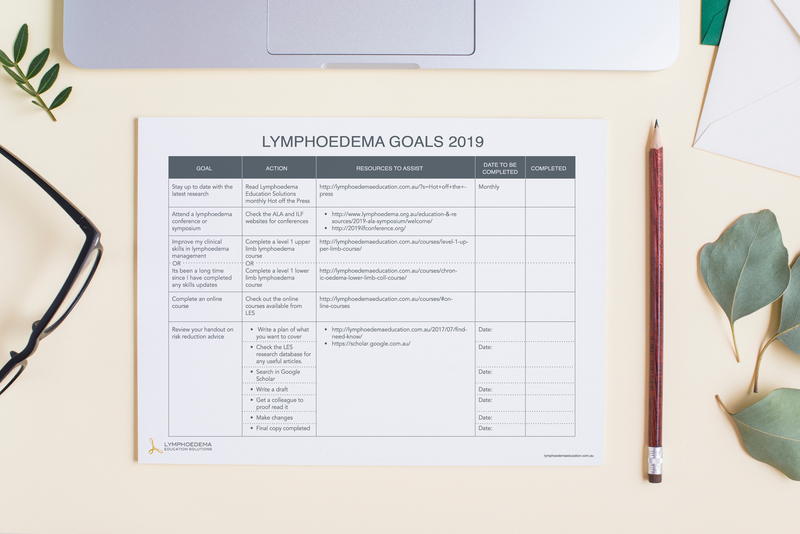 Have you set your lymphoedema goals for 2019? Now is the time to do it. To get you started, download this sample lymphoedema action plan. Goals go hand in hand with motivation. Setting long and short term goals help keep you moving and gives you the direction where as motivation gives you the energy. Goals and objectives both involve forward motion. You define a destination so tactics can be developed to enable you to get there. A goal defines the big picture, the destination. Objectives are about the tactics, the action plans, the method to accomplish the goal. 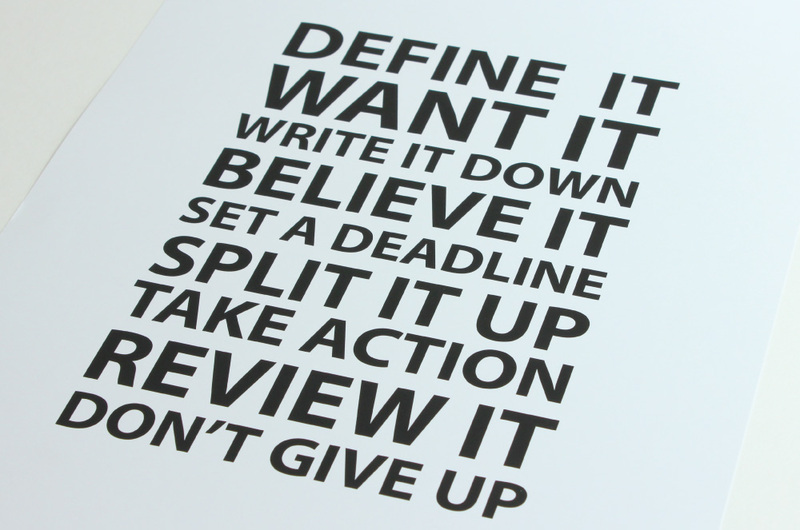 Define it – Identify and clarify what you are aiming for then focus on the specific tangible targets you want. Want it – does the goal align with your values? Track and review your progress daily, weekly, monthly or whatever is applicable to you. Make your goal measurable. You want to make sure you have the option to track your progress so you know you are on a path to success. This will give you the motivation to keep going. There are a number of applications that can assist you when with planning and tracking goals. Depending on your goals and preferred way of working, one of these might suit you. Most are free so you can sign up, set a goal or two and see if the settings suit your needs. This is a free habit building app available in iTunes. Simply list the goal and everyday the app will ask you yes or no if you have worked on this goal. You can view a graph of how well you are doing to help motivate you and keep you on track. This is a tool for setting and tracking goals. It seems simple to navigate. You can sign in with Twitter or Facebook. There are free and paid accounts. This is more for to-do lists and short-term goals. Although this doesn’t track your progress, it is a good way to remind yourself that there are tasks to be done. Set your goals and create task lists. This planner was inspired by “The 7 Habits of Highly Effective People” by Stephen R. Covey. Although I like using technology and try to keep my desk clutter free, the significance of pen and paper cannot be forgotten especially to brainstorm ideas and plan. Even a sticker chart on the fridge or noticeboard would be a constant visual daily reminder of your progress. You could also consider keeping a progress diary where you write in a daily sentence to highlight what you did towards achieving your goals. It is important to keep track of your goals so that time doesn’t tick by and they get forgotten in the chaos of your everyday routines. Create points along the way that when you achieve, you know that you are on the right path to achieving the goal. When you make it to those points, celebrate. Sharing your progress with someone will help keep you accountable as well as motivated.